June 7th Update: They freeze perfectly. You might need to heat them a little in the microwave, or an oven, to give them a little of their flexibility back. Freeze them flat if possible to reduce the risk of cracking. Cook with one hand eat with the other. I return, dear reader! Surely missed? No, don’t answer…I probably don’t want to know. I come bearing crepes. I don’t actually have much to say on the subject of these because, to be honest, you know me: Honest Jack, sure the name’s a lie, but trust me, I was cooking these with one hand and eating them with the other, yeah yeah, holding it and using my mouth, smart-mouth you got there, go stuff a crepe in it. They’re really tasty, I think of all the sorghum recipes I’ve created I like this sorghum one the best. I haven’t had any luck finding recipes that suit me, again: Honestly? I just gave up and went my own way. I’m now treating sorghum as similar to rice flour and that seems to be a successful strategy for making new recipes for this fickle flour. I did have to tweak my Rice Flour Crepe recipe a bit. Slightly less liquid, also: I tell you to heat the pan, take it off the heat, add the butter, swirl, return to the heat and then remove again to add the batter, again swirl, then back to the heat. It’s a a pain, but it guarantees unburnt butter and fairly thin crepes. I am currently freezing some and I’ll update with the success if applicable. Rough first, smooth later. I just hadn’t a chance to take a better photo. Again: Eating. I like that the first crepe though accidentally cooked in much too much butter still came out just right, though slattered in butter. It’s what a perfect world is like, dear reader. There can be no strife when we’re al freshly buttered. They don’t have that raw taste that can sometimes come about when using free-from flours in a quick cook recipe like this. I did find this needed a higher heat to bring some colour to them. They’re crepes, chances are you’ve eaten more than I have and have a much better understanding. Like most foods I had only just discovered them, started making my own and then my world changed. It’s another recipe for sorghum flour, which seem really lacking. Though I do admit I’m looking for gum free recipes so they are rarer. Less so now, huh, dear reader? See you later. Bonus: I used fresh Cinnamon, Dark Opal and Genovese basil in my Sweet Basil Curry. Give it a look. 1. Add Eggs and Milk and whisk until combined, then whisk in Sorghum Flour until a runny batter is formed and then whisk in the Salt. 3. Over a medium-high heat heat the pan, remove from the heat and add some Butter and swirl it around the pan, return to the heat for a minute and then remove from the heat again and add some of the Batter, just enough to coat the bottom of the pan, swirling it around to coat the pan. Return to the heat and cook for a few minutes until slightly golden and brown spots start to appear, then flip and cook the same on the other side. Repeat until batter is used up. If you bought me a better camera….I’d still take mediocre photos. You thought that I had been bested by sorghum? You thought I’d give up? Hah! Well, I would have but I was sent free sorghum flour, because I’m wonderful, shush, so here I am. 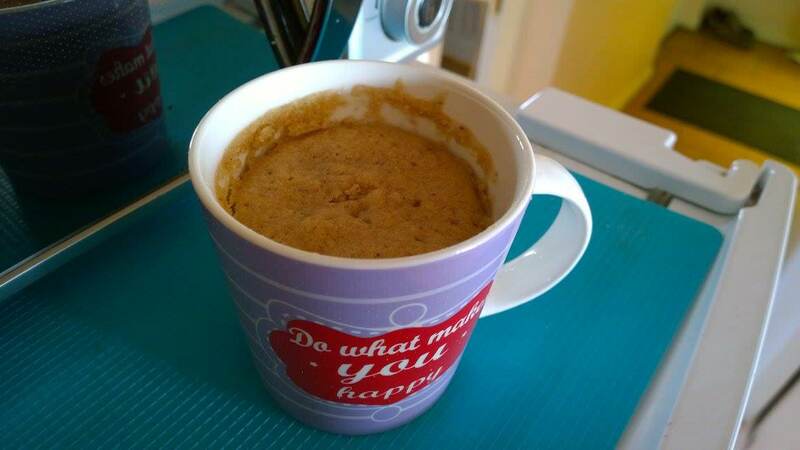 I have said that sorghum keep letting me down and staying true to form, and adhering to the absurdity that is this blog at times, I made biscuits and ended up with delicious cookies. In my new capacity as corporate shill I shall endeavour to nefariously sell you on flour! Yeah…hard to shill flour, isn’t it? I’m just happy to see a company selling a certified gluten free flour, they do do mixes too, and not have to look at a wasted opportunity. If more companies sold the bare ingredients I’d be a much happier baker. Now, I’m not here to sell you on anything, but if you are looking for free-from flours, at really decent prices, check out Mannavida. I buy mine on Amazon via the fulfilled by Amazon option. It’s hard t find these a lot of the time, you just have to troll Amazon’s gluten free section or try searching for flours whilst hoping. Thankfully these have really simply packets with all the information you need clearly listed. This really shouldn’t be this difficult, should it, dear reader? They don’t spread too much and get a nice dome shape. Before I get to the cookies, I should say that I’m not adverse to bloggers working with companies, I just feel that we should be responsible, upfront and honest. I’m a small-time blogger, the chances of me being corrupted by greed and avarice are very small. Just know that I’ll always be truthful with you. I do feel there is a really great worth in bloggers telling others about products, as long as the opinions are theirs and not bought. There’s a lot of free-from food out there and a lot of it can be waste of money. A forewarning that a product isn’t worthwhile is a wonderful thing. Look, I’m just saying you want to buy me you better cough up something special. Joking. Jack can’t be bought! (Also: No one is trying). Now, I did say these were meant to be biscuits, right? Now…does anyone follow these links? Maybe? Okay. This is almost a foolproof recipes: Rice Flour, Buckwheat Flour, Amaranth Flour and Quinoa Flour. This time they’re cookies, but so delicious you won’t mind that too much. I have adjusted the recipe to be less fussy. We’re not working with gluten or a string holding flour so I’ve ditched the creaming stage entirely. This is a quick eggless cookie, but they just taste so sweet, the sorghum gives the whole cookie a better overall taste than just the peanut butter and brown sugar could provide. They’re light and just slightly crumbly. They’re not moist, but I didn’t mind the slight crisp dryness. Perfect for dunking in tea. For a flax egg recipe they’re very sturdy. I have had better success with flax in this instead of an egg. I think the egg adds too much moisture and you end up with way too much spreading. If you want you could probably use ground chia, but I can’t say with certainty. The flax and the peanut butter are the binders in this recipe. I have read that peanut butter can work as a binder on it’s lonesome, but I’ve never had much luck with that, but I have found it useful in addition to other ingredients for giving a bit of firmness. Sorghum still isn’t my favourite flour, but I have to admit that this has been my favourite version of this recipe to date. That’s all for now, dear reader. I still have a fair bit of sorghum flour left over so I will hopefully be back with a few more recipes. All going well I’ll return with them. Take care. 1. Preheat oven to 160c (Fan) and line a baking tray with greaseproof paper. 2. Mix together the Sugar and Butter together until creamy. Then mix in the Peanut Butter and the Flax Egg until fully incorporated. Finally mix in the Sorghum Flour and Baking Powder until a slightly sticky and firm dough has been formed. 3. Scoop 1 Tbsp worth of the dough and roll into a ball and press down gently onto the prepared tray. When all the dough has been used up bake the cookies for 15-20 minutes or until golden and slightly firm to the touch. Let the cookies cool on the tray for 10 minutes, they should be firm by then and then transfer to a wire-rack to cool completely. Sorry about the quality, I only had my phone today. I had planned to make, or at-least attempt, sorghum flour gnocchi today, but I forgot to put the sweet potato in the oven. Hopefully I remember it tomorrow. I ended up making the planter and planting even more free flowers. We’re at the stage where there are too many flowers. There are bags of abandoned bulbs, buried too deep to even grow and about to be thrown away, hanging in mesh bags in my shed. I foresee a large dug out area filled with bulbs near the compost bins. Better than weeds. So, in the rush of doing too much, whilst avoiding thinking about the pending surgery reschedule, I wanted something quick and haven’t had pancakes since I bought my waffle-iron. Naturally I had to try sorghum waffles because I haven’t yet. I did make one mistake that might have been serendipitous, I neglected to add oil to he batter and instead added it to the pan and, if you can recall, sorghum tends to stick, even with copious oil the pancake still needed a shove before flipping. Thankfully with the oil in the pan it didn’t adhere to the pan at all. I honestly think it might be the best way to make these. Feel free to experiment. As for the texture I like these. They’re fluffy and light. Though I added sugar I didn’t find them overly sweet, nor did I get much taste from the sorghum. In saying that my taste-buds haven’t been great for the last few days so you might detect it more. They cook quickly, are light and tasty, the only downside is the oil, but if you add a tablespoon for each you’ll have little trouble. I should mention that I’m using wholegrain, accurate since it is indeed a grain this time, sorghum flour. I’m not sure if there’s a hulled version, but the colour might differ with a different type of flour. What else can I say on pancakes? I like having a recipes using just a single flour. I think the more recipes of this ilk means less waste when someone buys too much of a flour and discovers that there are little to no recipes using it. I’ve been there too often, dear reader and I’m happy to alleviate the suffering of others…What? Too dramatic for pancakes? Heh. Not much left to say, one funny thing to end on: I’m reading A Confederacy of Dunces, looks to be an amazing read, and the person within referred to his readers as Dear Reader! I just hope I’m not comparable to the boated, pompous Ignatius! See you soon, dear reader. Makes 7 Medium Pancakes. Can be frozen. 1. Add Eggs, Milk and Sugar to a bowl and whisk until everything has combined. 2. Add the remaining dry ingredients to the bowl and then mix until a smooth thick Batter has been formed. 3. Over a medium-high heat 1 Tbsp of Olive Oil, for each pancake, and swirl it around a non-stick pan, then add some of the Batter, just enough to form a small circle, about 1/4 Cup. Cook for a two or three minutes until bubbles start to appear on the edges and centre and the underside is brown, then flip and cook the same on the other side. Repeat until batter is used up. Nope, that was bread. This is cake and eggless. I wish I had something exciting to report on sorghum flour, dear reader, but it’s not doing anything spectacular, I’m afraid. I’m at the stage that I think I could reasonably use any free-from flour and find enough recipes to make it worthwhile having it in your pantry, if you’re fancy, or press, if you’re normal. It’s amazing to think how much can be accomplished if you doggedly stick to something. I’ve never given up on making single-use recipes work without gums or added starches. It’s become my style I suppose. I would say whenever I see a recipe claiming the need for this or that additional ingredients that it makes me angry, but I’m just too weary for that. I instead carry on as I am knowing what can be done with just a few ingredients ad will always be looking for kindred bloggers. I don’t think it makes me better, just different and different in this kind of way means that more people are being catered for. Being nightshade intolerant in a gluten free space meant I was continuously forced to adapt recipes and fight all the harder just to find them in the first place. Add starch free, well just forget it. Then a time came when I just started looking after myself. I now have recipes that can be used as templates and can be changed and adapted thanks to the knowledge I have obtained. All this preamble for a basic mug recipe? You know me, dear reader, you wouldn’t change me for the world. So, while I’m waiting on my basil to grow a bit more before harvesting I may as well say a bit about this mug ca…hmm? You mean to tell me that the world isn’t divided into the moments awaiting basil and harvesting basil? That’s absurd! All our waking days are purposeful because we all strive for basil! The moments without are the price we pay for the wondrous moments wherein we have basil. Seriously, I’m very close to harvest and thanks to the greenhouse it’s looking as if all the varieties will survive without much worry. I won’t count on the Dark Opal until it’s large enough, but it looks to be forging ahead. As for the cake. Let’s think. I think perhaps it needs a bit more sugar, though you can always add something sweet to top it off after cooking. I really like the taste of the sorghum and it adds a wonderfully light crumb. The cake really does crumble as you fork your way through, each morsel is a delicate, spongy delight. In truth, arrogant as all out, but who reads this far? I can say anything!, it’s better than the commercial version I used as a rough idea. Not that I ate it, but I can tell, dense and dry, not for me. Mine is richer, lighter and much more free-from. You know what has been bugging me is the idea that gluten free baking is naturally inferior and that only a choice few can really rise above the mediocrity. In truth I think too many people consume commercial products without ever tasting home-made and they also only try gluten free products with way too many additions and the best part is that a lot of wheat based commercial products now use gums and starches like their gluten free counterparts. Good food is good food regardless of the dietary labels, right, Dear Reader? I think if given a different path in life I may have tried my hand at being a professional baker. Perhaps even a pastry chef. For this life I will be Jack. That’ll do, right, dear reader? 2. Add in the Milk and Vanilla Extract and stir until everything has combined. Finally add in the Sorghum Flour and Baking Powder and mix until smooth. 3. Microwave on full heat for 2 minutes. Cake should be dry and springy to the touch. Let cool for a few minutes before serving.